Ludovic is a third-culture kid. Born to French parents, he was raised between Africa and Italy, started a career as a creative and business entrepreneur in the Middle East, then moved to New York City in 2014 to be exposed to what he likes most: cross-cultural connections. Ludovic is a social change agent, using documentary photography, acting, and yoga practices to create conscious & sustainable personal and community transformation. His yoga classes are designed to cultivate self‐awareness and inspire students to open up to the world grounded in compassion, and to fully awaken interconnectedness. 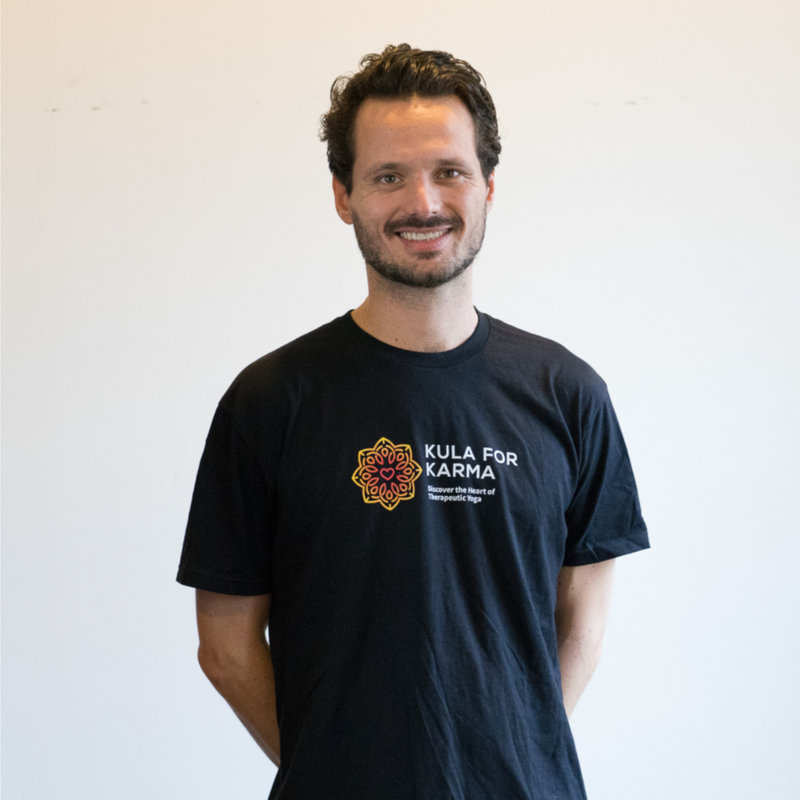 Since March 2018, Ludovic has been teaching Kula for Karma classes at Covenant House, a youth shelter supporting teenagers who have experienced street life over the hardship of their domestic situation. Ludovic is a 300‐hour certified Jivamukti yoga teacher. He completed a trauma‐informed yoga teacher training through Liberation Prison Yoga and a trauma‐sensitive yoga teacher training with David Emerson at Kripalu Center. FACT: Ludovic, together with his partner, is the co‐founder of Sharanam Yoga Project, a global yoga service initiative aiming to give access to the healing benefits of yoga and meditation to at‐risk populations, impoverished communities, & trauma survivors.